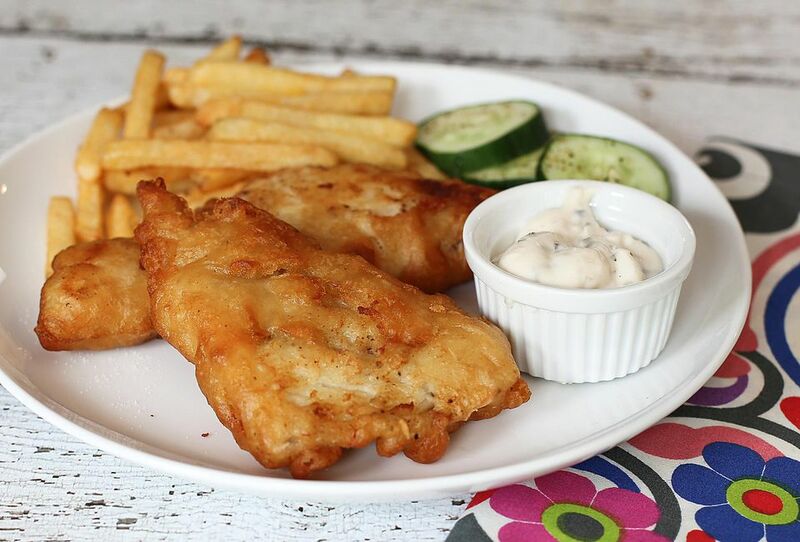 This tasty fried fish recipe is made with a basic combination of flour and seasonings. Don't be fooled by the simplicity of this dish. The fish fries up crispy and delicious. Haddock and cod are two excellent choices for fried fish, but tilapia, pollock, or another mild white fish should work fine. Be careful not to overcook thin fillets. Serve the fried fish with this classic tartar sauce or a tasty Louisiana remoulade. Pour 1 inch of oil in skillet; heat to 375 F.
Combine flour, salt, pepper, and paprika, and mix together. Dip fish fillets into flour mixture. Working in batches, fry fish for about 5 minutes on each side; remove to a platter. Serve hot with tartar sauce or homemade remoulade sauce. This recipe is great for a variety of fish fillets, such as haddock, cod, and tilapia. If you want to try and change up the seasoning, Mrs. Dash is a great alternative when adding flavor to your fillets. Since fish happens to be a more tender protein, make sure to keep an eye on the skillet when frying these fillets up. The golden brown crust can burn quickly.